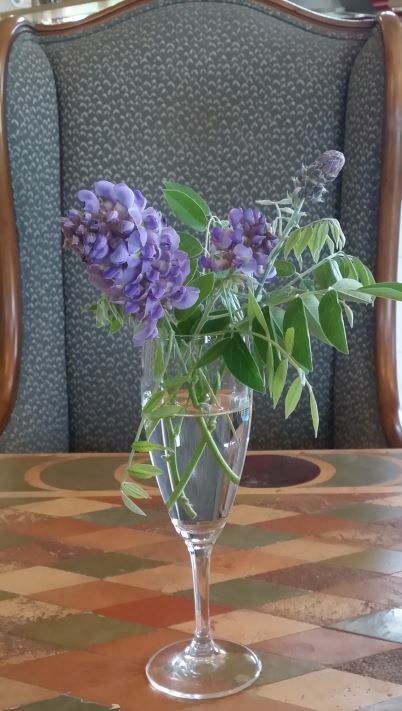 First cut flowers from the garden – baby steps. It isn’t exactly a cutting garden yet, but a nice little start. The Wisteria is one of the few plants doing really well here. They bloomed this spring and now some have reached the top of the pergolas and are starting to go across. I had a few later blooms this week and thought I’d make my first bouquet! ← I’ve never planted this plant before. Isn’t that great! Nice going you guys, congrats.